Sandy concentrates on commercial real estate transactions. Her real estate experience includes assisting in the purchase, sale, leasing and financing of commercial and residential real estate. 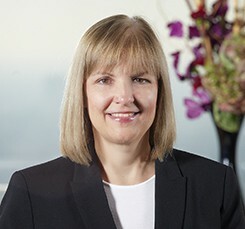 Sandy’s transactional experience includes assisting in the acquisition and sale of industrial and commercial buildings, industrial parks and shopping centers, including review of title commitments, surveys, leases and underlying title documents and the preparation of closing documents; loan transactions involving commercial properties and apartment buildings, including due diligence reviews and review of loan title commitments; and contract review and the preparation of closing documents for residential real estate transactions. Sandy received her Bachelor of Science degree in Business Administration–Office Management in 1979 and a Paralegal Certificate from The National Center for Paralegal Training (ABA Approved), Atlanta, Georgia, in 1986.